In a world in which content continues to be king, creating informative, engaging and relevant content for your website is more important than ever. However, creating great content is futile if it isn’t going to reach your target audience. Therefore, all web content must be optimised to ensure it ranks as well as possible in search engine results. But, creating content which will rank well in SERPs takes research and planning. As part of our beginner’s SEO series, we will take you through the steps you should follow to create great content for SEO. Before you jump straight into creating your content, you’ll need to begin with keyword research. Researching the terms that your target audience are searching for will help to inform the subject of the content that you are creating. Keyword research will identify search terms that potential customers use. This is particularly important as, whilst your business may use particular words to refer to your product or services, the words that customers use could be different. Therefore, the first step in creating web content for SEO is using the same terms that your consumers use. Completing thorough keyword research ensures that your content contains the key phrases that your customer uses to look for your business, making the whole optimisation process worthwhile. Once you have identified your keywords you will naturally want to include them in your website content. But, while you may be eager to include the key terms as much as possible to help you reach your audience, this could have an adverse effect. Overuse of the keyword in your content is known as keyword stuffing. While SEO was still in its infancy, keyword filled content used to work, however Google’s updates have, not only made this an ineffective technique, but will actively penalise those who do it. 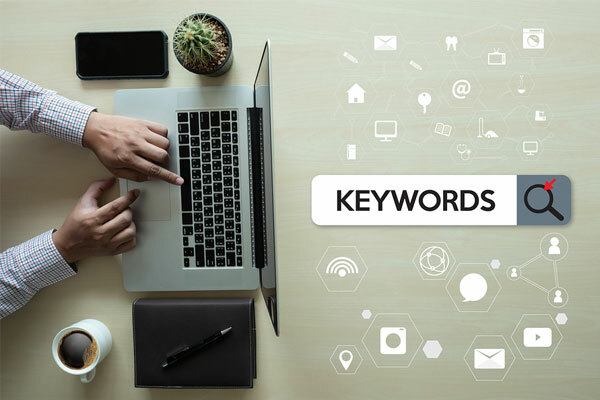 If you’re wondering how many instances of your keyword your content should include, SEO expert, Jeff Gilden advised in Forbes that you should aim to create content of which around 2% is keywords. After you have identified your target keywords you’ll want to define the goal of your content. For example, do you want readers to become customers, or is interacting with the content enough? Deciding this will dictate the type of content that you create. You should already be well aware of who your target customer is. But, keeping this at the forefront of all content creation is key to generating content which they will want to engage with. For example, you won’t want to create an informal blog filled with colloquialisms if your website aims to target business professionals. Again, at this stage you will already be aware of exactly who your main competitors are. But, revisiting their sites could help with your own content generation. Identify the best content that competitors are creating and explore how it could be improved upon. For example, if a site features a how-to guide on their website, what details are they missing out? Doing this will allow you to take inspiration from competitors who are doing it well, whilst ensuring your content remains fresh and unique. To encourage users to visit your site instead of competitors’, you’ll want to ensure that your content stands out. Highlight your brand’s unique selling point throughout any onsite content and allow your content to act as reflection of your brand identity. This will help to differentiate you from competitors and encourage potential customers. Whilst striving to create unique and interesting content is important, it is essential that you don’t compromise your site’s usability while doing so. When creating your chosen content, consider how it will fit into your site and page layout. Think back to your target audience and consider how they will consume this content; what will your content look like on a mobile device? Usability also includes the ease with which your customer can understand the content that you make. Choice of language is crucial; avoid overly complex terms and jargon which could deter customers. Ensure that the content you are creating is up-to-date. If it is research based, then always make sure that the data used is the most recent available. Linking to recent relevant articles and sites where possible also helps to increase the reliability of the content. All site content should be relevant for your target audience. But, often the best content will go one step further, by acting as an answer to queries that customers are searching for. Tools such as Answer the Public allow you to see the queries people are already searching in relation to your business. Once you have identified these, try to create content which answers searchers’ questions. Content about your chosen speciality isn’t enough if it is not providing help or information to your consumer. Position yourself as the expert voice on your subject by producing high-quality, useful content. Creating informative content such as guides and glossaries are an ideal way to do this. 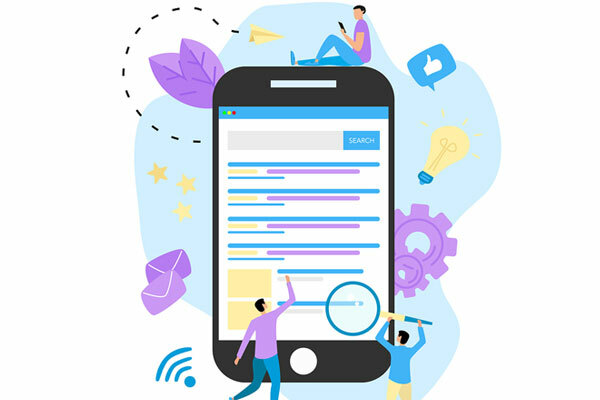 Content is an integral part of SEO, with quality content having the potential to transform a site’s performance in SERPs. Getting the right balance of keywords coupled with content which is both informative and engaging can be tricky. But dedicating time to doing so could reap rewards for you and your business. Emma started working at Kumo in the summer of 2018 after graduating from Nottingham Trent University. She is a keen reader and uses her love of books to help her create engaging content for all of Kumo’s clients. When she’s not writing, she enjoys running, yoga and keeping up-to-date with the latest fashion news.